(NaturalNews) Key data outlining the toxicity of glyphosate (Roundup) was recently uncovered, revealing that Monsanto knew about the cancer-causing effects of its best-selling herbicide more than 35 years ago, as did the Environmental Protection Agency (EPA), and yet neither entity chose to make this information known in the interest of public health. Using "trade secrets" as an excuse to keep the findings of these studies confidential, Monsanto successfully cherry picked and manipulated its cohort of study data to suggest that glyphosate was safe, and the rest is history. Except that previously hidden memoranda that have since come to light reveal a whole lot more about the true nature of this pervasive chemical pesticide. In 1981, the EPA scrutinized this data and pressed Monsanto for more information before granting a NOEL, or "no observed adverse effect level," for glyphosate. But less than one year later, Monsanto successfully obfuscated the data and convinced the EPA that glyphosate was safe under the guise that conflicting data was suddenly a "trade secret." "The evidence shows that by 1981 both Monsanto and the EPA were aware of malignant tumours and pre-cancerous conditions in the test animals which were fed small doses of glyphosate in the secret feeding experiments," said Dr. Brian John for GM-Free Cymru, about the facts. "Although concerns were expressed at the time by EPA committees, these concerns were later suppressed under the weight of conflicting evidence brought forward by Monsanto, some of it involving the inappropriate use of historical control data of dubious quality. None of these studies is available for independent examination." A 1986 EPA memo admitted that this was a curious move by Monsanto, adding that the glyphosate doses tested were nowhere near the "maximally tolerated dose." If the glyphosate doses had remained the same, remarked the then Oncogenicity Peer Review Committee, "tumours might have been induced." "The effect of glyphosate on endocrine tissue such as breast and prostate, or even placenta, is disruptive at least and an increased incidence of endocrine neoplasia is likely to be seen in National Statistics," added retired academic pathologist Dr. Stanley Ewen, noting that glyphosate's association with pre-neoplastic changes in experimental mice were never revealed as they should have been. 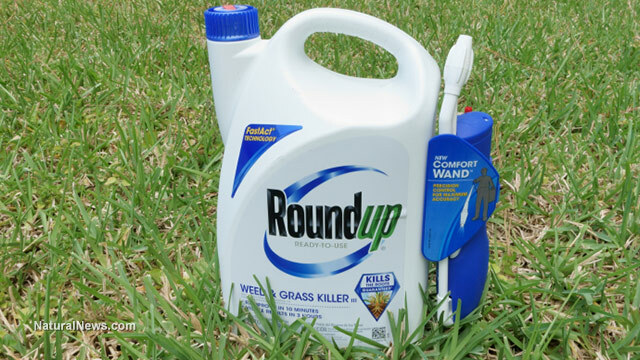 "The Glyphosate Task Force denies the involvement of glyphosate in human malignancy despite their knowledge of many reports of lymphomas and pituitary adenomas in experimental animals dosed with glyphosate." The tobacco industry, as you may recall, never really recovered from its shameful legacy of lying to the public about the safety of cigarettes. But Monsanto's massive cover-up of glyphosate's cancer-causing effects takes evil to a whole new level, as the multinational corporation not only lied about the herbicide's safety but actively manipulated a federal agency tasked with protecting public health in the process.